Produced from a mixture of pasteurized ewe and goat whey. WHEYPRO 35 can be used in a range of applications including dairy, bakery products, confectionery, chocolate, salads, desserts and animal feeds. WHEYPRO 35 is packed in a multi-ply paper bag with inner polyethylene liner, net capacity 20 Kg. WHEYPRO 35 must be stored in closed bags in a cool and dry place (20°C, 60% RH) away from any source of contamining odours. Must not be exposed to sunlight and avoid direct contact with walls and floor. All data indicated above, based on analytical results since 1998, is estimated after application of statistical process control techniques. However, since this data refers to a biological product, please claim for a lot certificate. Our contractual liability consists in supplying products complying with the above mentioned specifications. In case of failure of these specifications, acknowledged by us and notified in due time, our warrant will be limited to the replacement of the faulty product. Our commitment cannot bind us in case of wrong utilisation of our product. The buyer must follow the rules applied in the country where the product is used. 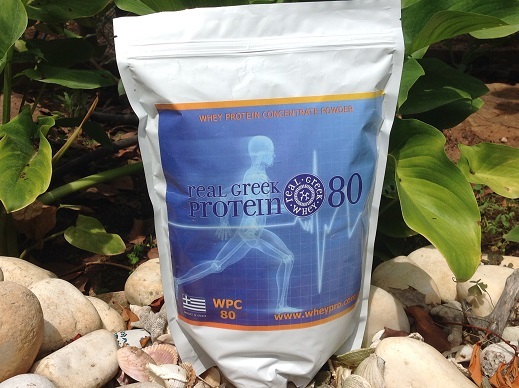 Whey protein concentrate with 65% protein from a mixture of ewe and goat whey. WHEYPRO 65 can be used in a range of applications including dairy, bakery products, confectionery, chocolate, salads, desserts and animal feeds. WHEYPRO 65 is packed in a multi-ply paper bag with inner polyethylene liner, net capacity 15 Kg. WHEYPRO 65 must be stored in closed bags in a cool and dry place (20°C, 60% RH) away from any source of contamining odours. Must not be exposed to sunlight and avoid direct contact with walls and floor. Whey protein concentrate powder, produced from pasteurized whey. WHEYPRO 80 can be used in a range of applications including dairy, bakery products, confectionery, chocolate, salads, desserts and functional foods. WHEYPRO 80 is packed in a multi-ply paper bag with inner polyethylene liner, net capacity 10 Kg. Delivery pallets (110 x 120 cm), total weight 700 Kg. WHEYPRO 80 must be stored in closed bags in a cool and dry place (20°C, 60% RH) away from any source of contamining odours. Must not be exposed to sunlight and avoid direct contact with walls and floor. All data indicated above, based on analytical results since 2003, is estimated after application of statistical process control techniques. However, since this data refers to a biological product, please claim for a lot certificate.